We are rich in Mabels! In my personal timeline, the first Mabel was my great aunt. A woman born in the late 19th century. A kind woman who was perpetually busy keeping a house and her family going. I only knew her when I was little, but she was impressive! I always liked her old-fashioned name. Others did, too, but never enough to use it for 20th or 21st century babies. A name waiting for re-christening. 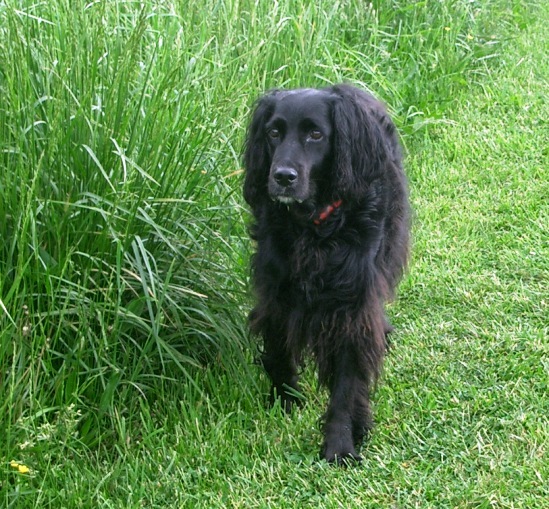 Several years ago I adopted a rescue dog with spaniel-ish heritage. A dog with old-fashioned looks and enormous charm. Here was the waiting to bear the name Mabel. And Mabel she is! A fabulous pet. Another time we can sing the praises of rescue dogs and the volunteers who do so much for them and for us. You might have learned it with different words. Every version I have heard is geared toward improving table manners. Mabel the dog has many talents and pretty good table manners. She has heard many audiobooks as companion to a knitter, but Mabel is not deft with yarn, photography or writing. Her scribe takes care of these. Together we explore the topics we find curious, always questing for satisfying answers.